An entry into Nico Bombay, transports you to a cafe in Europe. The high ceiling, minimalistic decor, adds to the elegance. The music is infectious and sets the mood for a perfect Sunday lunch. The menu may seem limited, but covers everything a gourmet may want to sample. Specialising in authentic wood-fired oven Napolitano – gourmet flat breads, Eastern and Western Mediterranean inspired Mezzes, Modern European Mains with classics such as a Spaghetti Vongole and Confit Duck Leg are a part of their gastronomical fare. The flat breads at Nico Bombay are made with high quality flour, farm fresh cheese, premium organic ingredients and cooked in the authentic wood fired oven from Italy. Having learnt the art of the Napolitano pizza from the master himself, Enzo Coccia, Nico Goghavala has made use of the carefully honed, age old methods, specially selected starters, exceptional flour and high quality, well-conceived toppings for their flat breads. From the pizza or flat breads, as they call them, we try Enzo- Pumpkin Flowers, Burrata, Oven Roasted Tomatoes. We are rendered speechless. The Burrata is luscious and smooth and compliments the other topping ingredients. The Kadaifi Wrapped Prawns, Citrus Mousseline, is par excellence. Succulent prawns and the covering is absolutely wow. 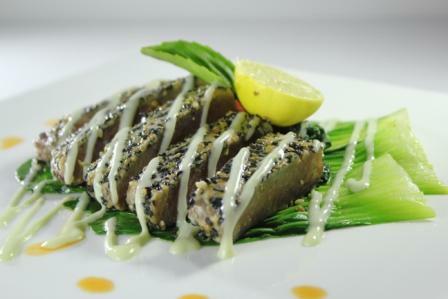 The chef’s eye for presentation is evident from each dish that is served. Poetry on plate, literally. Nico Bombay endeavours to treat the diner to the freshest local produce which are used as their key ingredients, hence encouraging a very farm to table concept. I like that. Goat Cheese, Caramelised Onion, Sour Cream Puff, arrives next. The topping is delicious, but the crumbly puff does not appeal to us. Balsamic Baby Beets, Caramelised Walnuts, Burrata, our salad sweeps me off my feet. Looks appealing and tastes even better. The caramalised walnuts lend an interesting flavour to the beet. A one-of-its-kind, melt in the mouth salad, worth a try for sure. Risotto, Ravioli, Beef fillet, Roast chicken. The mains have these and more. There is enough Vegetarian fare too. Oven Roasted Pumpkin Ravioli, Amoretti Crumbs, Asparagus Pea Risotto, Shaved Asparagus Parmesan Foam et al. The quantity of olive oil in the food is a wee bit too much. Mini Savarins, Citrus Jelly, Tropical Fruits was what was recommended for dessert. Good, but not extraordinary like the rest of our meal. Maybe Chocolate Fondant, Strawberry Granita would have been a better bet. Not only, the ambience, the service and food quality, is definitely world class. For those who enjoy their drinks. The menu is exhaustive and the bartender, creative. Nico Bombay is going to give some of the fine-dining eateries in Mumbai a run for their money. Way to go. 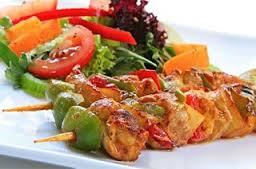 Indian food is always a culinary treat and better still, if it is Rajasthani and Gujarati. You can look forward to a variety of flavours and textures. 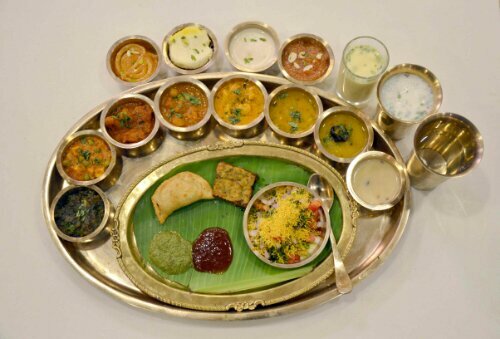 Indeed, the thali at Rajdhani’s Rasovara at Palladium, Lower Parel was a gastronomic feast. Whoever said, vegetarian food is boring? Think again. The farsan or snacks, which is such an integral part of a Gujarati meal, arrives first. The three coloured dhokla was delectable and simply melt in our mouth. The samosa was delicious but nothing extraordinary. The chaas (buttermilk) was refreshing. The thali with its endless katoris looked like a royal feast. A plethora of options were there, by way of the rotis or flatbreads. Mooli paratha, thepla, phulka. These were the highlight of my meal. Piping hot, these teemed well with the paneer, kofta, gatta, meethi, teekhi dal. The masalas in some of the preparations is overpowering, masking the taste and flavour of the vegetable. The dals were lip smacking and each distinct from the other. The gujarati kadhi was par excellence. It was matchless with the moong dal khichdi. I also enjoyed the dal baati churma, which was authentic and well made. The ghee makes a lot of difference, trust me. One may relish the food without knowing the culinary magician behind it. Maharaj Jodha Ram Choudhary, the son of a farmer, who was always interested in cooking but never got family support, is entirely self-taught. He has now been delighting foodies with his preparations for over 40 years. Ringna Batata Sambhariya, keri sangri and makai jajaria are some of his specialities. He is now adding value to the kitchen at Rasovara. The desserts, something which I was eagerly awaiting were a damp squib. The jalebis, although hot were crisp but not tasty. Perhaps the batter was not right. The sticky, insipid rabdi served along did not help. The moong dal halwa too was less sweet and a disappointment. Only the basundi was palatable. The service is impeccable. And apart from the lavish thali, the service replete with getting your hands washed at your table, makes you feel regal and how! An enjoyable dining experience albeit a little steep. India Bulls Centre at Lower Parel may not seem like a place where you’d go to eat, but of late, it houses some of the best eateries and pubs. D’Bell cafe and lounge is an interesting combination of The Pulsating Lounge and a Cozy Cafe. So clearly, there is entertainment, music and good food being offered by D’Bell. We make our way into the café for a Sunday brunch. The cafe is spacious, well-laid out and elegant. The decor is minimalistic, but appropriate. The spread looks interesting, albeit limited. We begin with an Iced Lemon Tea. Refreshing. The sea food salad is a treat, with liberal amounts of fish, squids and prawns. The dressing too is just right. The chicken salad with mayonnaise is good, but not extraordinary. The cream of chicken soup is embellished with generous amount of chicken cubes. In fact doused with it. The soup is well spiced and enjoyable. The starters come next. Fish cakes are what they are called, but are actually more of fish tikkis with oodles of potatoes in them. Disappointing. The chicken mince balls in BBQ sauce are a delight for the palate. Soft and melt-in-the-mouth. First rate. We skip the begetarian starters. The main course is not overtly exciting but the chicken crumble proves us wrong. It is well made, the layer of caramelized onions gives it a sweetness which compliments the spicy chicken. The top layer is crumbly enough and the coarse texture is delightful. The Thai veg green curry with cheese which we try is a tad too thick. Pairs well with steamed white rice. There are noodles and pasta too as well as a fish preparation. The desserts too are boring and fairly insipid. D’bell serves good quality food, provided excellent service and has a good ambience too. The menu needs to be a little more varied and interesting. With options galore today, one may not want to come here, given the limited food choices. And thus it is not a value-for-money brunch either. On other days it has breakfast, lunch and dinner too ranging from the Mezze Platter, Wasabi Prawns and Crispy Shrimp Tacos to the Asian eef Stew, Eggplant Cannelloni and Cottage Cheese Satay. With Karaoke, Retro Nights and Classic Rock along with the best live performances in the city this lounge is one where you can let your hair down while enjoying a good drink! So clearly, if you are a music lover you could head to the lounge, whereas foodies like me would choose the Cafe. There is nothing like Punjabi food- robust, flavoursome and hearty. And add some more tadka (seasoning) to it and the zing gets even better. And that’s exactly what happened when we sampled a meal at the newly opened Amritsari Tadka, Linking Road, Khar Mumbai. Being a Punjabi and a foodie myself, none of the dishes were alien to me. In fact being familiar with the original taste and flavours, I was even more excited to try these and rate them. The murg shorba that ere served first s aromatic. 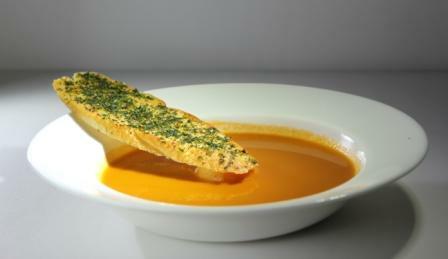 The soup was indeed flavourful and comforting. The Chicken tikkas were spicy, well- marinated, succulent and had the right texture. We were off to a good start for sure. The fish ajwaini was something I was looking forward to. That too met with my expectations. But I wish they had used some other fish than the oh! so popular Basa. I am not a fan of that bland fish at all. It needs to be boosted with strong flavours of other ingredients. The keema chicken in the main course disappointed me hugely. I did not relish the idea of both these being combined in the first place and added to that was the excess salt. The dal makhni more than made up for the chicken though. Well cooked, the dal simply melt in our mouths. The Amritsari garlic naan and the pudina(mint) version were crispy and yummy too. Made for a delicious pairing with the piping dal. 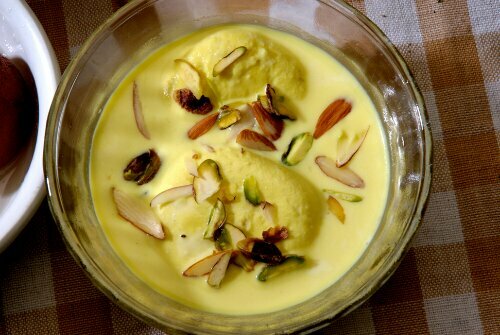 Rabdi with kulfi was a good suggestion. The rabdi texture was a tad pasty. But nevertheless we enjoyed its’ creamy taste. Anil Singh Arora aka Pappi Singh of Only Parathas fame, has succeeded in opening a fine dine non-vegetarian restaurant serving authentic Punjabi dishes. The menu consists of Amritsari Bheja Masala, Amritsari Gurda Kapuda, Tawa Chop Lahori, Murg Jalandar etc. After scouring the whole of Mumbai city, customers find their way back to Amritsari Tadka for its Murgh Chatni Anardana and Murgh Ludhianvi Kali Mirch which are the some of the special dishes offered only by Amritsari Tadka in Mumbai. But for those of you, who do not relish Punjabi food or want other options, there are plenty. Chinese food, Continental dishes et al. And lots for vegetarians too. Added to that is the quick and efficient service by polite staff, cheerful family ambience and value-for-money good food. I love my Punjabi food so am definitely heading back for the asli taste of Punjab!